A contract PCB assembly company whose main focus is quality of service will work closely with their clients and devote their time and expertise to designing the best and most efficient supply chain, manufacturing process and communication system to support the needs of their market.Efficient processes mean shorter manufacturing times, while a dedication to ongoing communication with customers means no unexpected surprises when it comes to the expected delivery dates for your PCB assemblies or products. 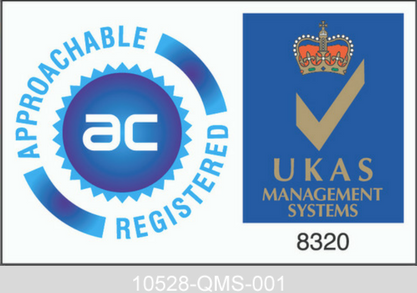 A PCB assembly specialist that can demonstrate a service underpinned by a comprehensive and dynamic quality assurance system, founded on many years of experience, will ensure that all processes are robust and regularly audited. That same company will also have a track record of continuous investment in staff training and will use advanced assembly, inspection and test equipment to ensure that quality remains at the ‘heart’ of the operation. While the production of PCBs and the disposal of unwanted ones can have a negative impact on the environment, those produced using the most modern and advanced processes are designed to minimise these effects. Suppliers that focus on service and quality will also be more aware of environmental concerns and strive to ensure unused materials or used PCBs are disposed of correctly. Something that is easily overlooked when choosing a contract PCB assembly supplier is what will happen after the commitment is made. It is best to choose a manufacturer that can demonstrate a high level of service, through up-to-date KPI’s and testimonials, and show how their effective communication and project management skills provide continuous on-time deliveries. Additionally, assessing whether a company has trained its staff to provide clear information and provides an environment to encourage and develop a close working relationship with its customers, will ensure that the decision made will not need to be changed. MPE Electronics has an excellent reputation for delivering the highest quality of service in contract PCB assemblies and electronic products to providing the best service to our long-standing customers. Contact us now on 01825 764822 or enquiries@mpe-electronics.co.uk to find out how our contract PCB assembly expertise could benefit you.